Installation of the Turbo and plumbing is extremely neat. Over the years BMW has achieved enormous success in the most diverse forms of motorcycle racing, with what is the same basic “flat-twin” engine design first introduced in 1923 with the R32. Successes include winning the first European 500cc Championship in 1938 with a supercharged version of the flat-twin configuration. From 1954 to the mid 70’s BMW flat-twin engines dominated World Championship Sidecar Racing and also during the 70’s came an AMA Superbike Championship and a win in the Castrol Six-Hour Production Race. BMW has also had successes with this design in the most gruelling off-road race of them all, The Paris to Dakar Rally. The list goes on and on, yet most people look upon BMW’s R series flat-twins as nothing more than reliable tourers. 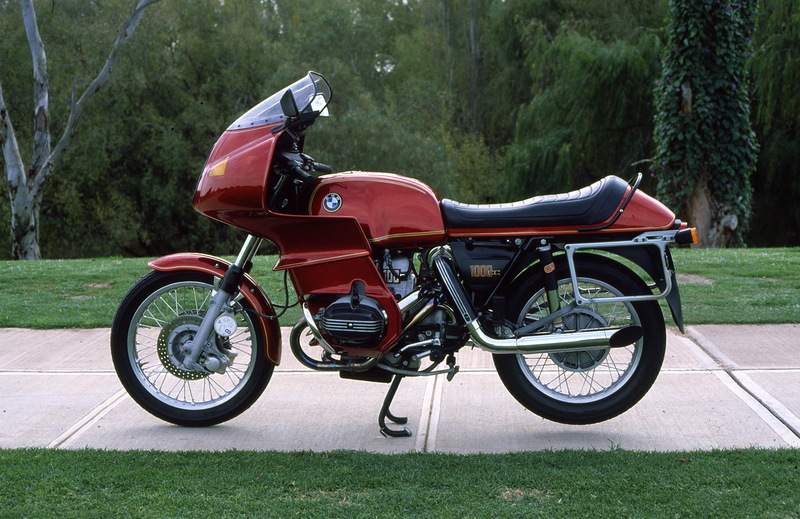 Anthony Steele’s 1979 R100S has perhaps caused a few people to think differently about this iconic design. Tony’s bike, you see, has the ability to change from a mild-mannered tourer to an arm-stretching superbike at the twist of a throttle. The transformation is brought about by current technologies answer to the supercharged BMW’s of the late 1930’s; the turbocharger. Tony, who is a mechanic by trade, decided to turbocharge his bike in the early 1980’s at a time when spectacular claims of power and economy were being made for this form of forced induction. Aftermarket turbo-charging kits were proliferating in the States with some finding their way to Australia. 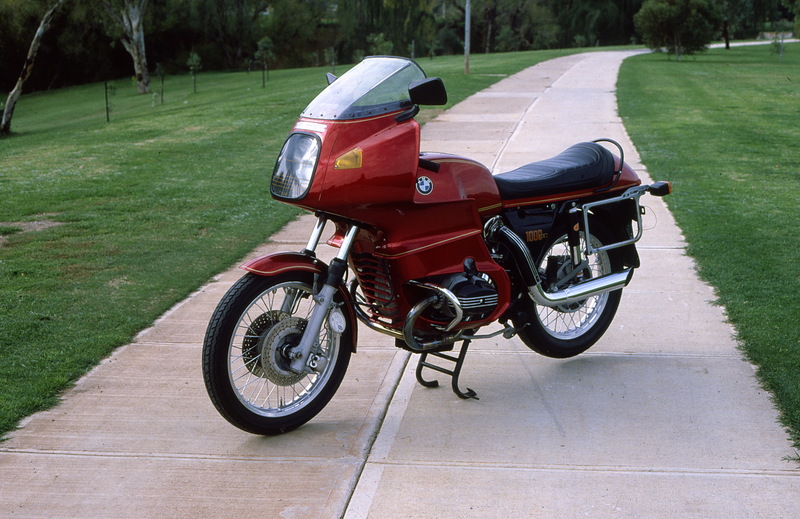 The American Turbo-Pak kit fitted to Tony’s bike was acquired through the SA importer and distributor of BMW, Pitmans. The package included a Rajay Industries turbo unit with adjustable wastegate, a Zenith side-draught carburettor, an electric fuel pump plus a larger capacity sump and all the necessary plumbing. Turbo-Pak kit tucks well out of the way. According to Tony fitting the turbo kit was reasonably straightforward. The battery under the seat had to be replaced with a smaller unit and tilted back to clear the turbo housing. After some problems with detonation, two spacers were fitted between the crankcase and cylinder barrels on each side to lower the compression ratio. The spacers are a standard BMW part for the R90 series engine for use in countries with low octane fuel. They required some machining of their centres to accommodate the bigger bore R100 engine. A lumenition electronic ignition was also fitted for more precise combustion. Once installed the kit integrates well with the standard layout of the bike, only the loud exhaust note and lack of right-hand side muffler gives away the fact this is no ordinary BMW. Starting the bike takes a bit of a knack as there is no choke fitted. A few twists of the throttle to prime the carburettor usually does the trick and once started the throttle needs to be blipped for several minutes until the engine is warm. It then settles down to a reasonably fast 1,500 rpm idle. The exhaust note is nothing like a regular R series BMW, sounding more like a British vertical twin with sports mufflers. According to Tony maximum boost of 10 psi comes in between 6,500 rpm and 7,000 rpm with a claimed 40% increase in power. More importantly, though, the engine comes on boost as low as 4,500 rpm and is making 5 psi of boost by 5,500 rpm. In touring conditions with a pillion, the turbo BMW has a definite power advantage over standard R100S in top gear acceleration. Tony described the engine coming on boost as similar to changing down a gear followed by rapid acceleration and even more rapidly rising engine revs. The top speed of the R100S is entering the superbike stakes at around 210 kph (130mph), but some stability problem became apparent at 160 kph (100mph). After trying most brands of replacement shock absorbers a pair of Fournales proved best suited to the bike, but the stability problem wasn’t entirely cured until Tony had an R100RS full-fairing fitted by Pitmans. The standard chassis though has been found to easily handle the extra horsepower, even when accelerating hard out of corners. Tyre wear hasn’t increased noticeably, and although the lowest fuel consumption obtained after very hard riding was 8.5 k/l (24 mpg) in regular use it has proved slightly more economical than a standard R100S. From any angle, the turbo installation integrates well with the layout of the bike. 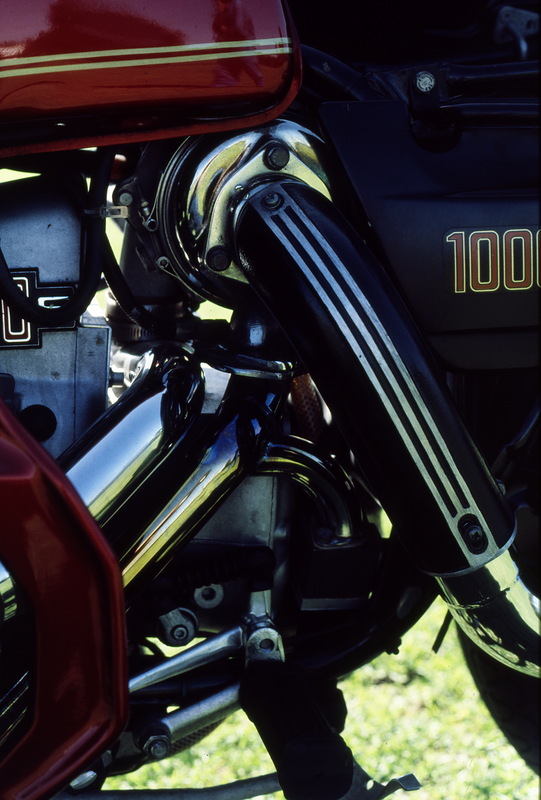 The all up cost of the turbo kit and mods, including the cost of the ‘79 R100S, was around $8,000, although it would cost a lot more to build a replica today. So far, only the clutch has proved to be a weak point in the drivetrain and is due for some modifications shortly, although Tony does admit the bike doesn’t like some of the extremely hot weather that South Australia experiences. At the moment four-valve heads are being looked at by Tony as the next development for what is one of the neatest turbo conversions around. Words and photographs Geoff Dawes (C) 1983. Published in Bike Australia July 1983. This entry was posted in Motorcycling and tagged BMW R100S, Lumenition electronic ignition, Rajay turbo, Supercharged BMW flat-twin, Turbo-Pak Kit, Turbocharged BMW R100S, Turbocharging on 30/04/2014 by Geoff Dawes.